Ashley has been a active Registered Massage Therapist since 2009 with the College of Massage Therapist of Ontario and graduated from the Massage Therapy Program at Sutherland-Chan School in Toronto, Ontario. Her first 5 years of practice were working in a multi-disciplinary setting in Ajax. 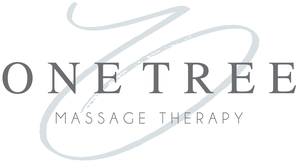 She is the owner and founder of One Tree Massage Therapy and opened up in 2014. Most recently, in 2018, she had become registered with the Canadian Sports Massage Therapist Association (CSMTA). During her training in school, she participated in outreaches that included post-surgery recovery at Toronto Western Hospital. She also worked on horse jockey's who were training for the Paralympics. She thinks of herself as a versatile therapist who has experience working with clients of all ages and physical abilities. Over the past several years the majority of her treatments have been focused on decreasing pain and discomfort on sports related injures as well as with clients who have poor posture and poor ergonomics. She embraces the challenge of treating a wide variety of presentations. In 2016, she trained at Thai Massage Toronto. She has been study this ancient body work through a lineages that originates with Master Pichet Boonthume and taught by Master Practitioner Deanne Villa at TMT. Additional modalities included in her practice are Cupping, Therapeutic Kinesiotaping, and IASTM technique.